As I enthusiastically and optimistically stated in my previous blog, this is my year for sewing. In a kind of half and half way. My slightly OCD mind loves order and plans...lists of lists, anyone? February: Under - make something that will go under the outer layers. Serendipity. 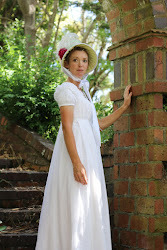 I just needed to make a Regency period petticoat to go under the (ahem) see-through 1810 Regency gown I made last year. 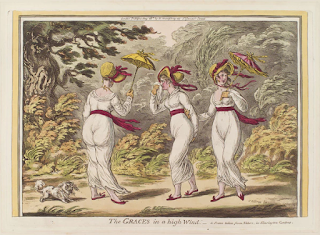 There's a bit of mystery and supposition around regency petticoats: what is accurate historically and what is reenactment convenience and appeal. April: Buttons and Fastenings - create an item where the closures are the star of the show. 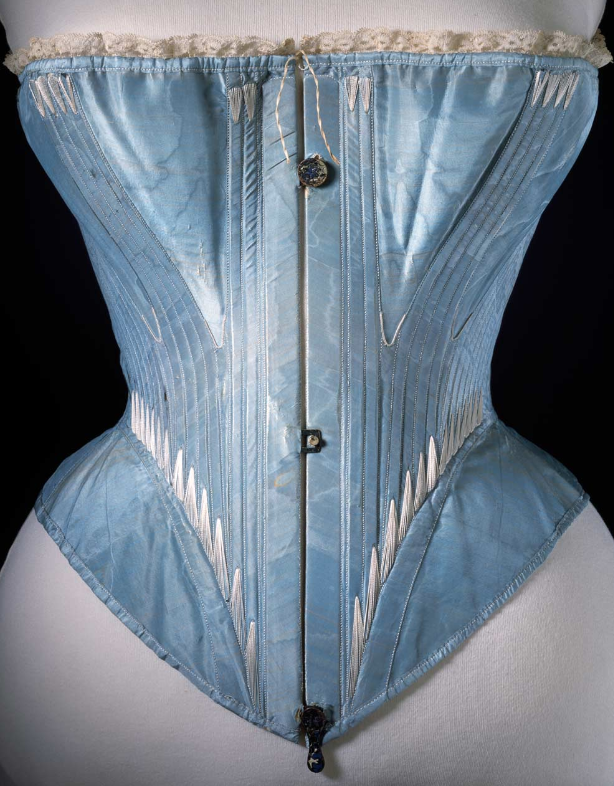 I've decided the next period to dabble in is the early Victorian, and the first thing to create is a set of 1850-60s stays/corset that includes the revolutionary new busk. I'm pretty excited about this and can't wait to finish off the last few projects so I can start researching these! June: Rebellion and Counter-Culture - Create an item that pays homage to fashion rebels and clothes that flaunt their place on the fringes of standard sartorial society, or that was signature to a rebelling cause. 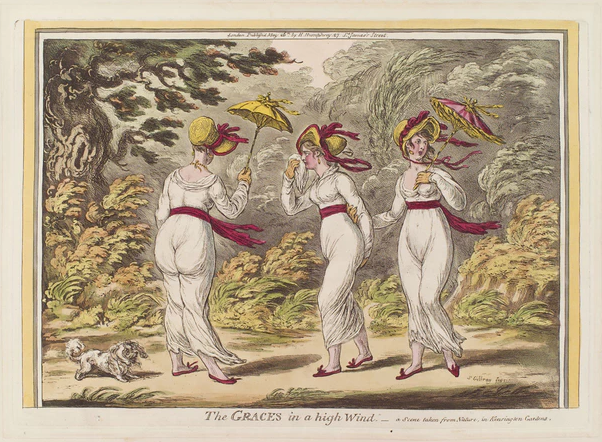 This isn't exactly in line with the challenge, I've read that drawers were considered very out-there and rebellious when they first started being worn post-regency, early Victorian. So a pair of early victorian drawers it shall be! To go with the Victorian corset. Optimistically. 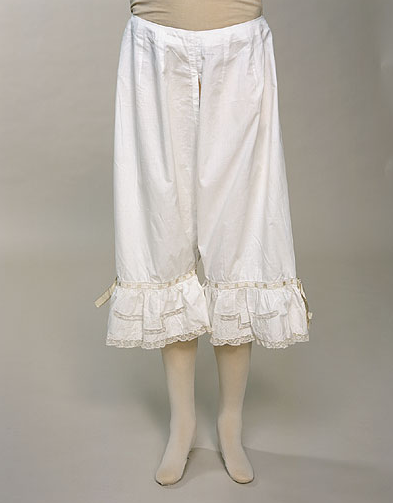 Though I love to wear my shifts as nighties, I can't imagine my long-suffering husband to allow me to wear drawers, so these will be purely for the costume closet. 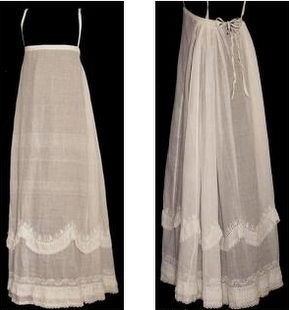 August: Extant Originals - Copy an extant historical garment as closely as possible. This one requires some research! But I am extremely excited about this. All I know is that it will be pretty simple, and possibly along the lines of the poorer class. It will depend on fabrics and threads available to me, mostly. Possibly something like this 1500s linen/wool dress. Though something closer to...well...now, would certainly be easier. October: Fabric manipulation: Take fabric to the next level with any kind of historical embellishment or manipulation: smocking, shirring, embroidery, beading, pinking, ruching, printing, painting, dyeing etc. 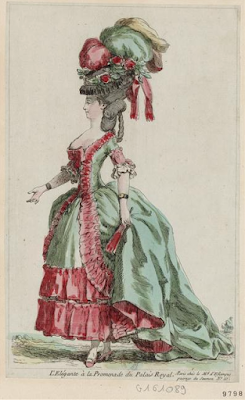 This is the month to complete and reveal my pink and green silk taffeta 1780 English gown and petticoat. It will be a ruffled and ruched thing of glory, or I'll die trying. I'll have been working on it for over a year by then (I might literally die of old age) so it sure had better be finished! December: Neglected Challenge - was there a challenge this year (or if you've been doing the HSM for a while, in a previous year) you missed? Or didn't create quite what you'd wanted to? This is your chance to make it up! I am going to leave this empty for now, as I know I will have a mountain of unfinished things by then! Maybe still the Tudor costume I'm currently working on (gown, sleeves and hood). Or maybe some other ridiculously overindulgent project I started enthusiastically. The final part of this sewing schedule is the most important focus for the year: connecting with other sewists. Geeking out about costume or history: its much more fun to do it with others than on our own! So that's my plan for the year of 2018.